4 Ways Rei. . .
Why We Need Reiki for Anxiety? Anxiety is a plague which has taken hold of everyone under the sun. Its grip is noticeable all over the place, interfering with our joy and our ability to live happily. Anxiety is a negative emotion which affects all the aspects of our lives. It affects our relations with other individuals, saps our energy and makes us feel less lively. Not only that, it depletes our concentration and our skills and undermines our well-being. It is important to note that a few of us get more affected as compared to others. It is a usual tendency to ignore our worries because of current lifestyle challenges. However, we must not forget that more you hide your tensions, the more they will grow. Reiki for anxiety is a Japanese healing therapy which has proven to be effective in relieving people of their tensions. The need of the hour is to go back to the ancient knowledge bank and find answers. Luckily, Reiki for anxiety has been proven to be a useful tool in fighting negative energies which are sapping our ability to live in peace. The word Reiki consists of two Japanese words - Rei which signifies "the Higher Power" and Ki which is "life driven energy". So, Reiki means "spiritually guided life-force energy." 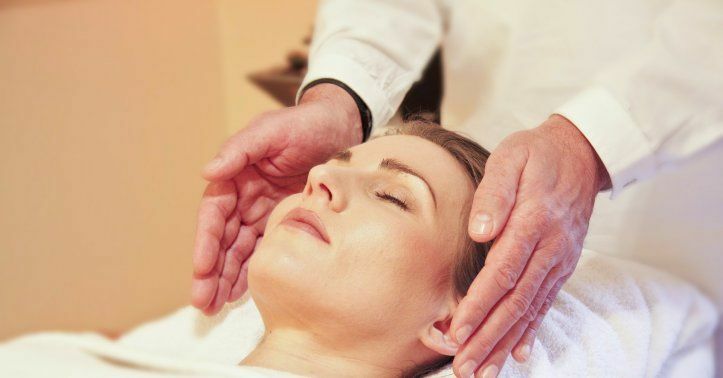 Reiki therapy is based on the universal life force or energy which is inside and around you. Reiki treats the entire individual including body, feelings, mind and soul. It provides positive healing outcomes in stressful times. Many healers practice Reiki in exceptionally quiet surroundings. Often, people who experience anxiety just need to lay on a smooth surface at a tranquil place. There may be peaceful music playing to soothe you. Since it is hard for anyone to find a quiet place to settle down, we recommend taking the help of an established healer. Reiki is something that you can do for yourself. It is not uncommon to see people in tension since they have a lot of responsibilities in their job and families. There is a famous quote which says, "God helps those who help themselves". Remember this when seeking Reiki for anxiety issues. Furthermore, it helps to internally calm because that is going to unravel your hidden energy. Reiki is a healing treatment that includes a light touch to the body. This therapy has proved to be useful to people who experience severe anxiety. Anxiety can make you feel almost insane, and it is not a pleasant thing to handle. Fusing your body with the mind will make you feel at peace. It will reduce your tensions. Reiki is a spiritually intense therapy. Humans seek otherworldly experiences to relieve themselves of anxiety. There is a reason why people find solace in worshipping and meditation. Reiki is useful for individuals who are experiencing stress and facing other psychological issues. It helps place things in context, gives trust and relieves anxiety. In conclusion, you must have realized that Reiki has great potential as an alternative mode of healing. This universe brims with energy which we can tap and channelize. Our world has uncountable doctors and surgeons to cure physical ailments. For spiritual ailments, healers are needed. Mind and soul are not something which only medicine can cure. The field of medicine today recognizes and acknowledges the importance of alternative therapies in healing. Reiki professionals are extraordinarily kind and calm individuals. Having a healer in our lives is an extremely sound approach. Everyone needs to be motivated by someone to deal with the tensions of daily life. Such healers provide emotional and spiritual support to help their clients heal. It is natural for individuals to feel pressurized and burdened by others expectations. Seeing a Reiki specialist enables them to handle these expectations with less stress and tension. Sometimes, it takes a simple step to make substantial changes in your body, mind, and life. A Reiki healer directs their energy stream to where it is needed in the seekers (patients) body. As a result, Reiki will help restore the balance in your body, mind, and soul. Finally, if you are ready to relieve your stress and anxiety, find a professional Reiki Healer near you here! Vatsla Singh is a content curator and writer. She is actively interested in the psychology of the human mind and thus writing about spirituality and personal growth comes to her easily. Having also tussled with the borderline bipolar disorder, she is a first-hand benefactor of Reiki for anxiety. She writes about this topic using her own personal experiences. Aside, you can catch her with her cats whilst she isn't typing away on her laptop.